This unit accommodates up to 8 guests. 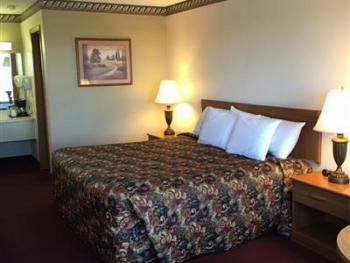 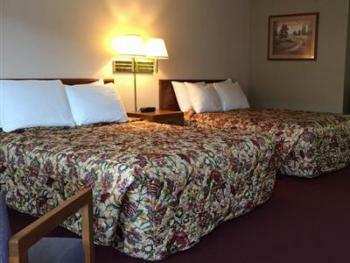 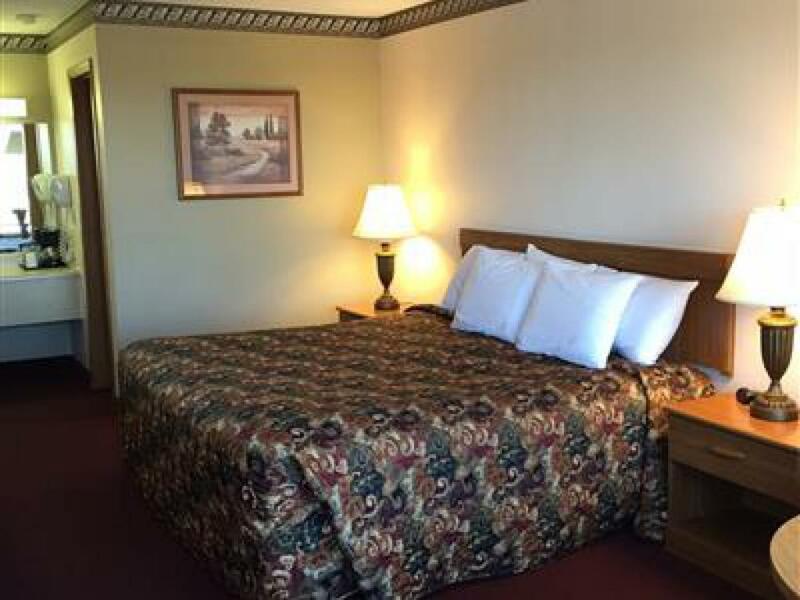 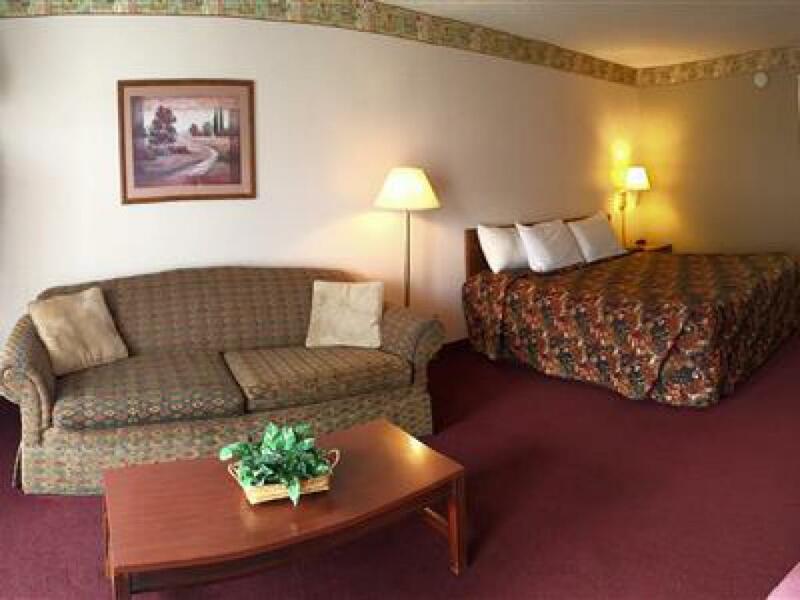 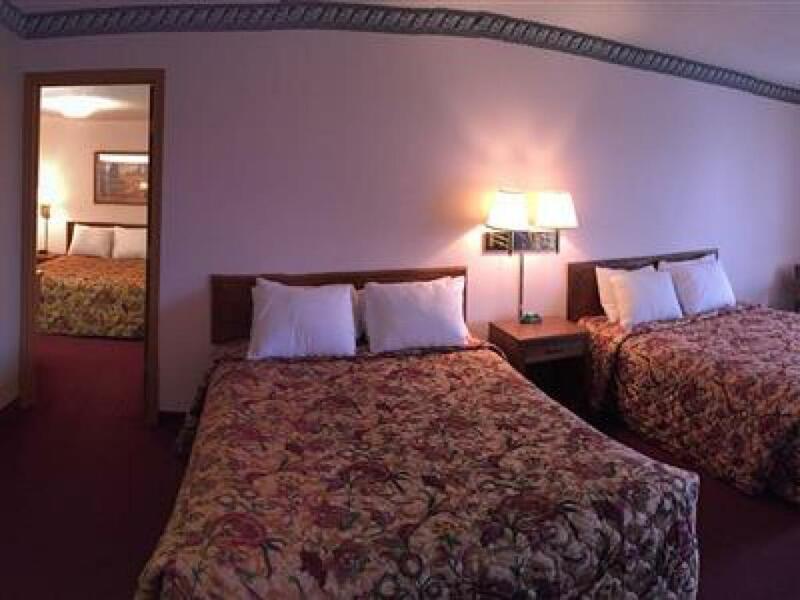 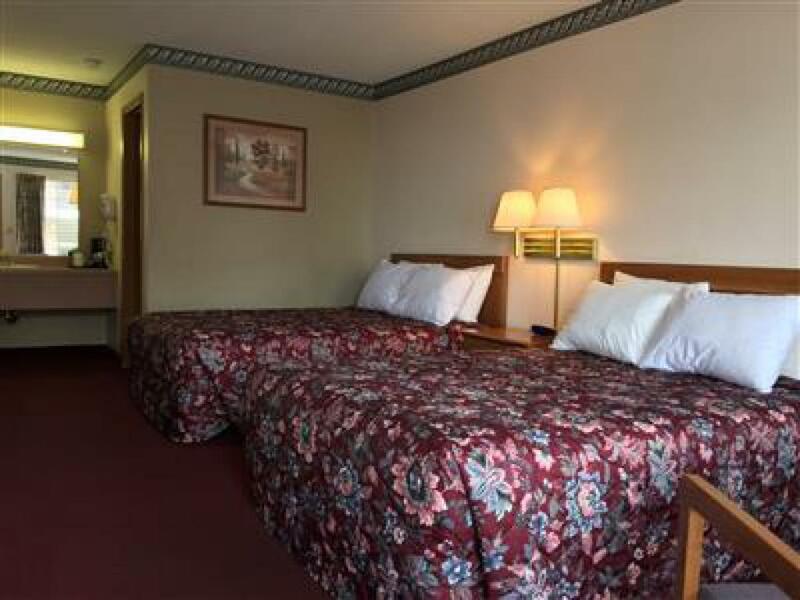 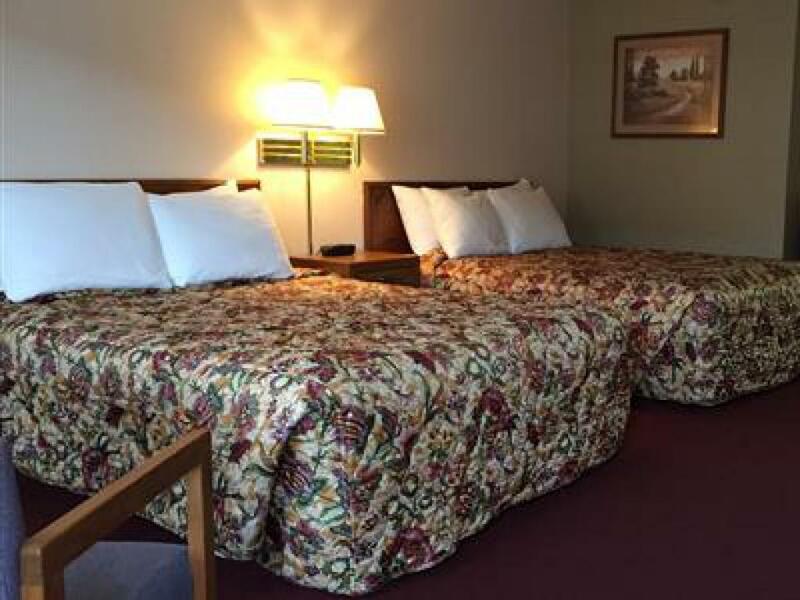 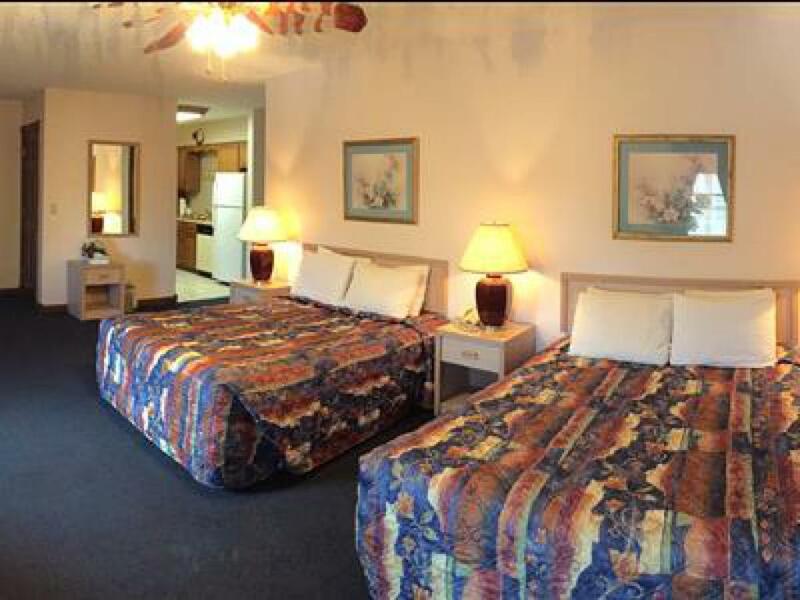 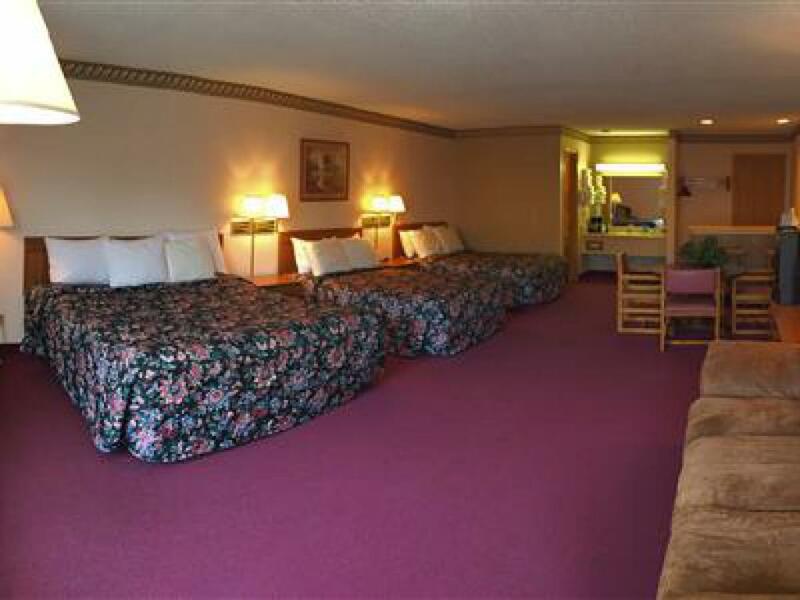 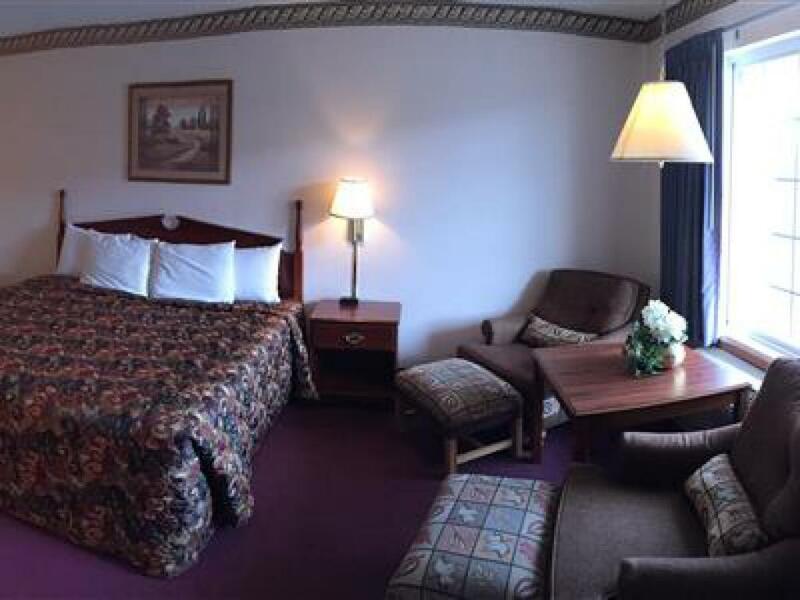 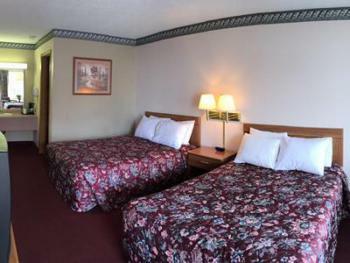 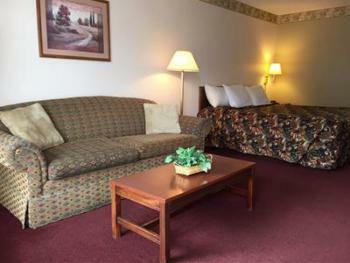 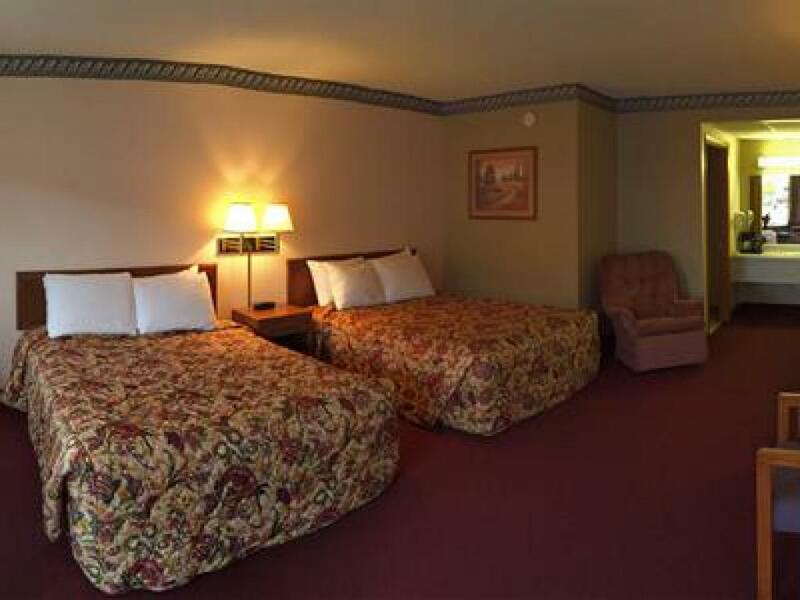 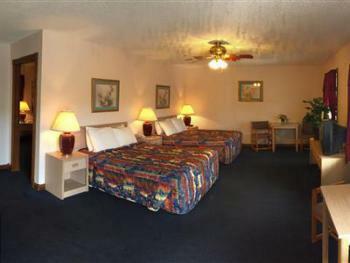 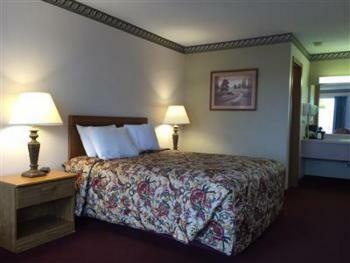 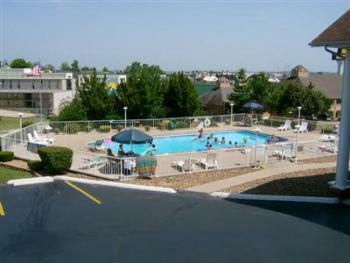 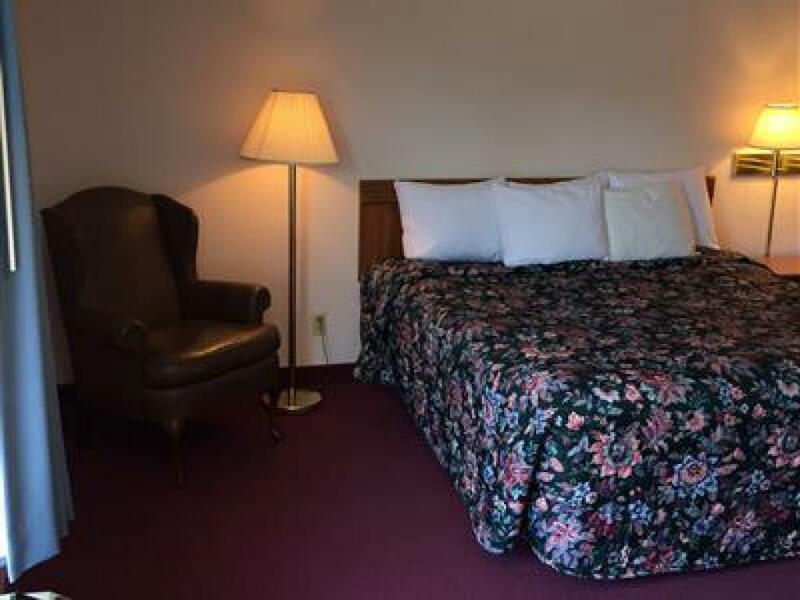 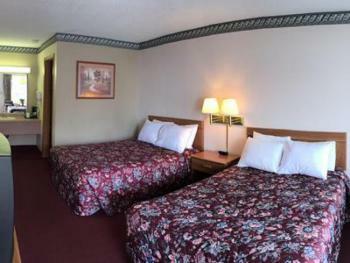 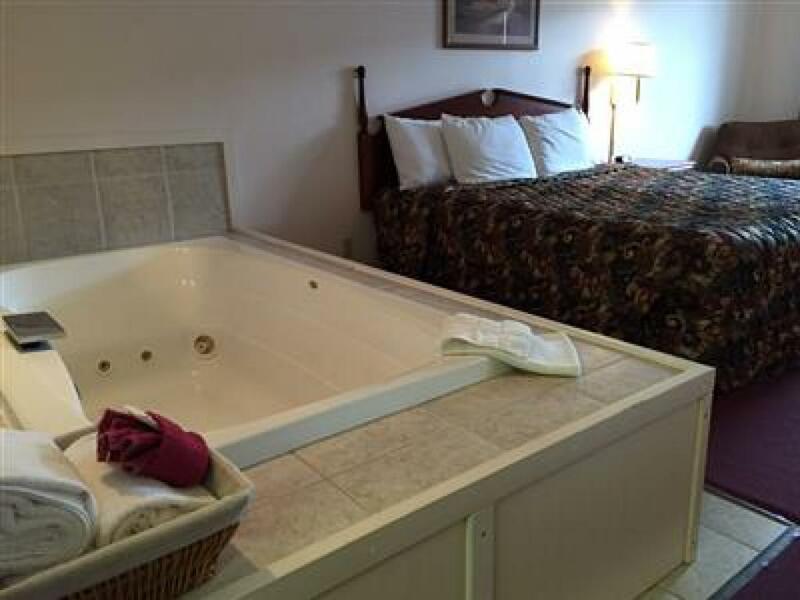 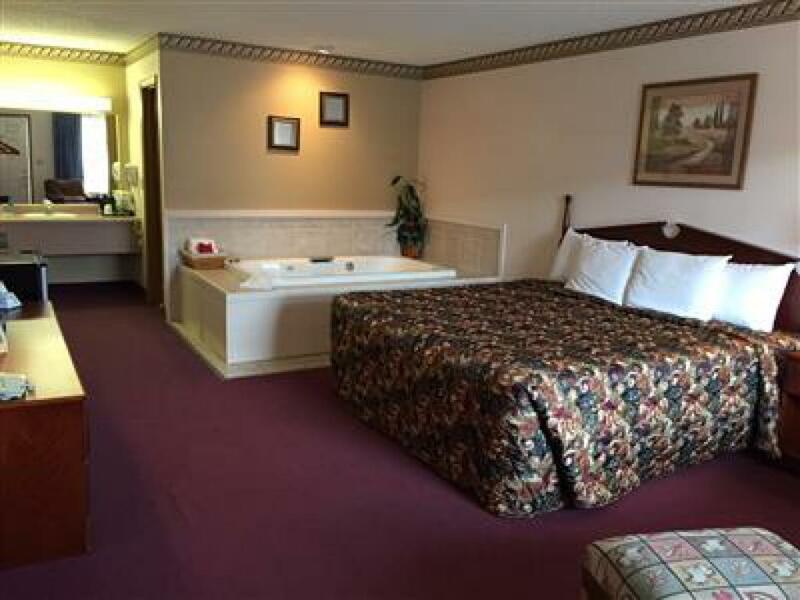 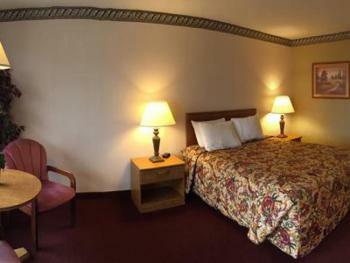 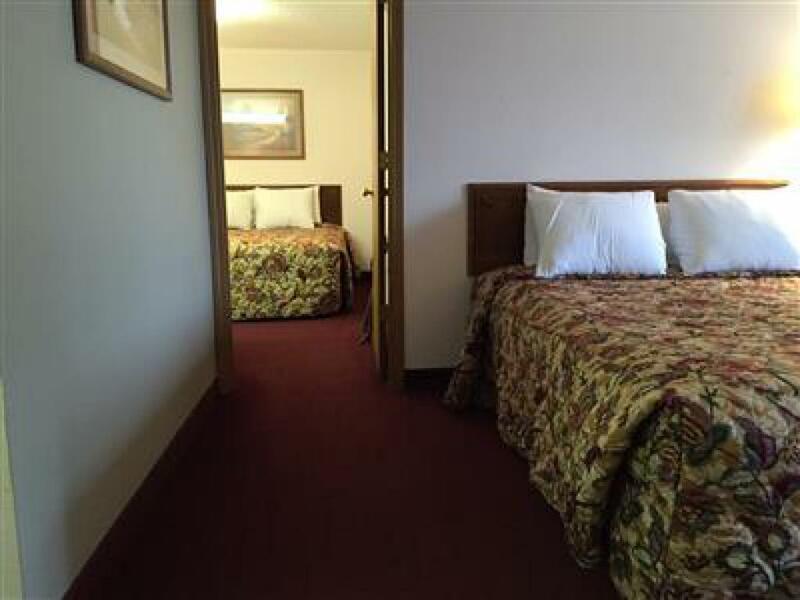 Located on the 2nd floor and has 4 Queen size beds in two separate rooms. 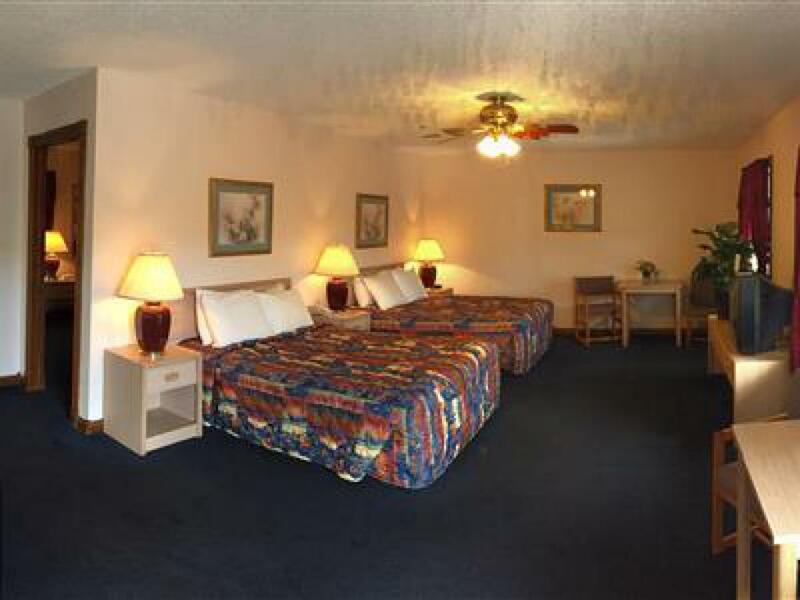 Each room has it's own television, night stands & credenza. 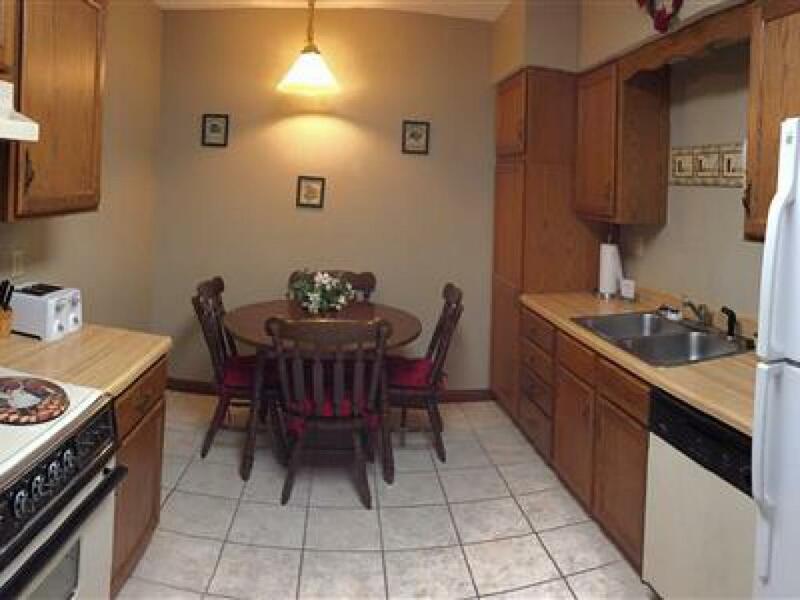 There is a full kitchen with pots, pans and dishes...everything needed to cook a meal. 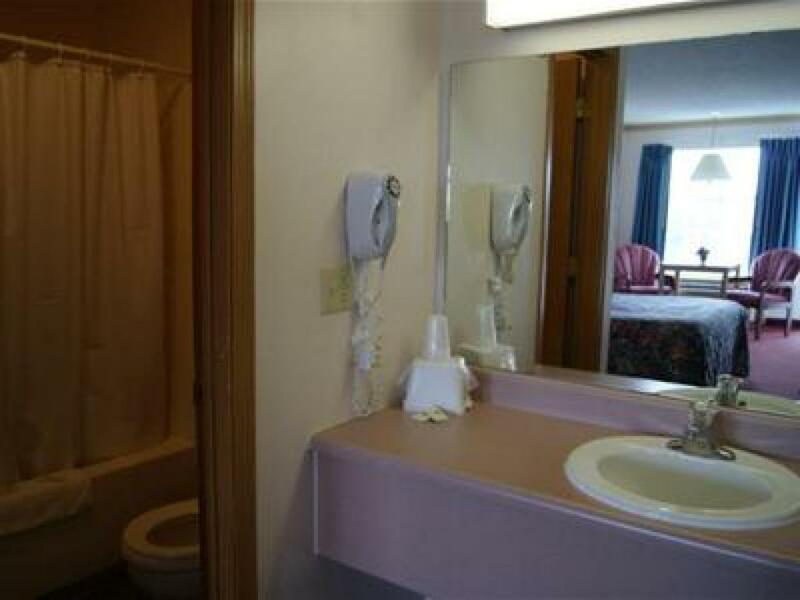 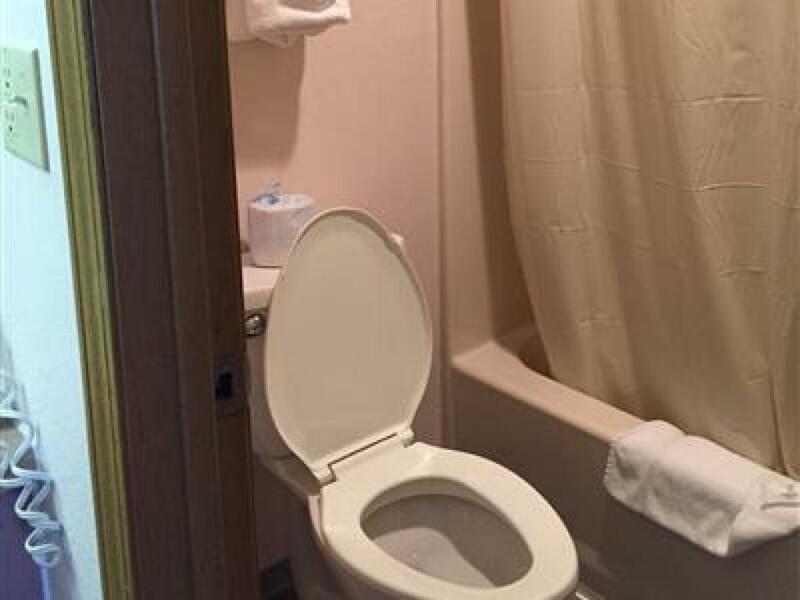 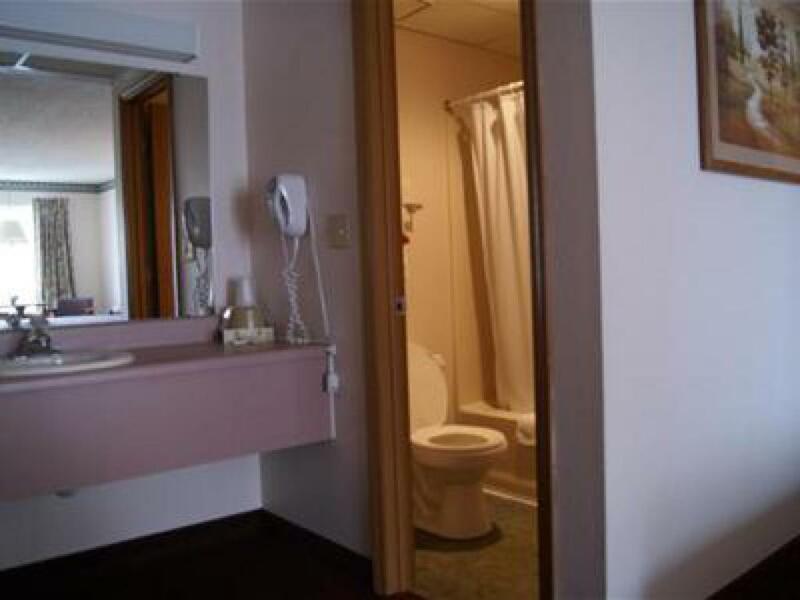 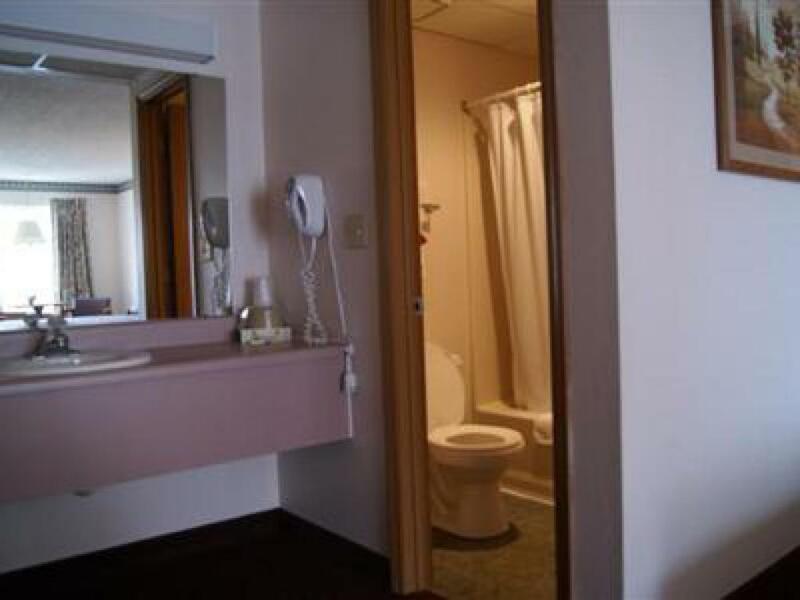 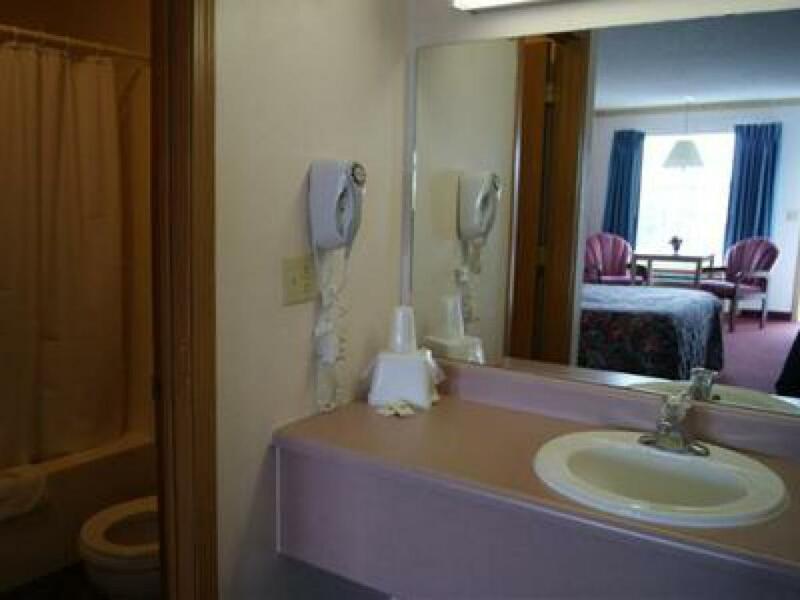 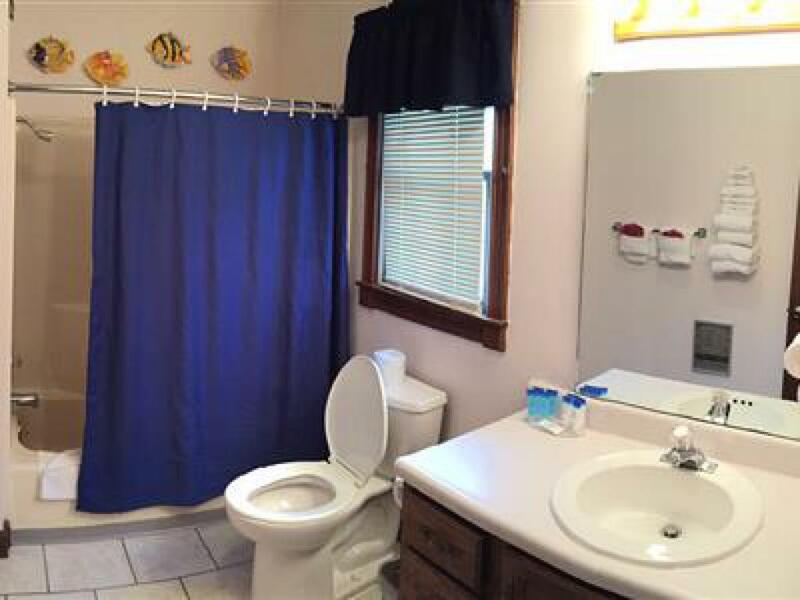 There is one full bathroom with vanity. 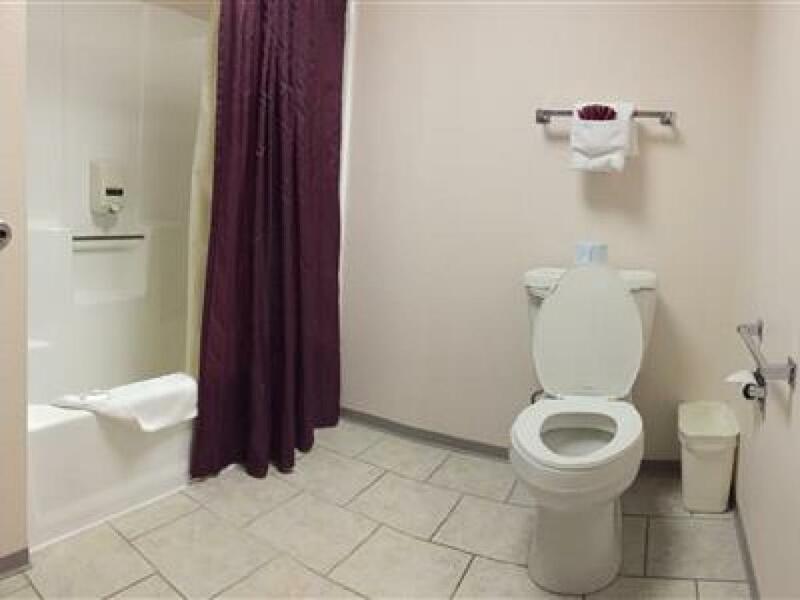 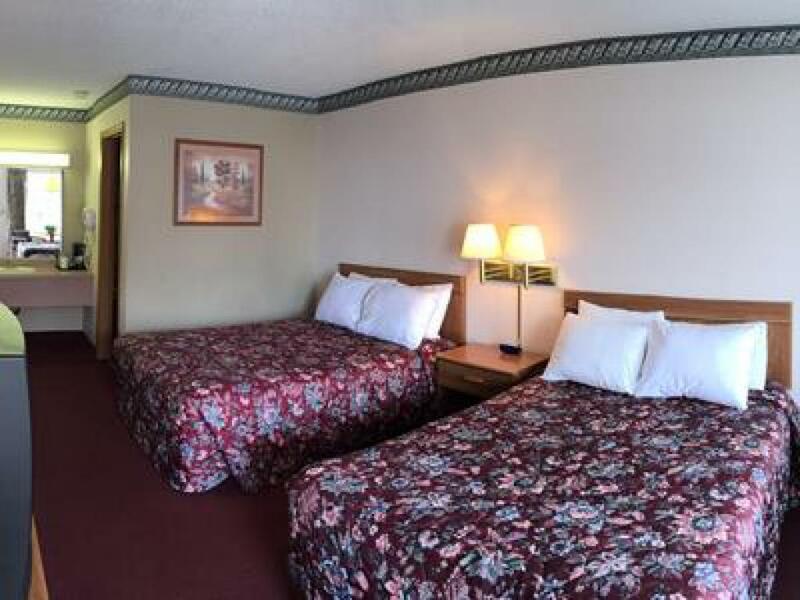 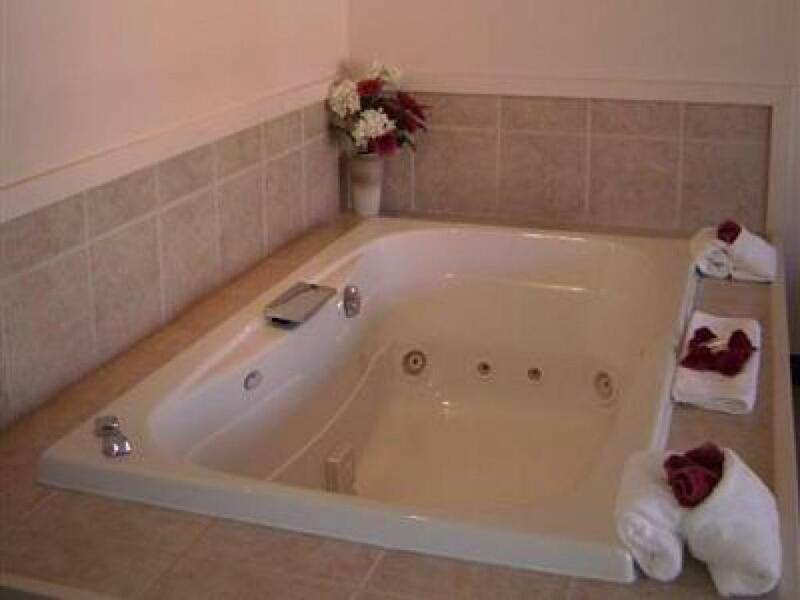 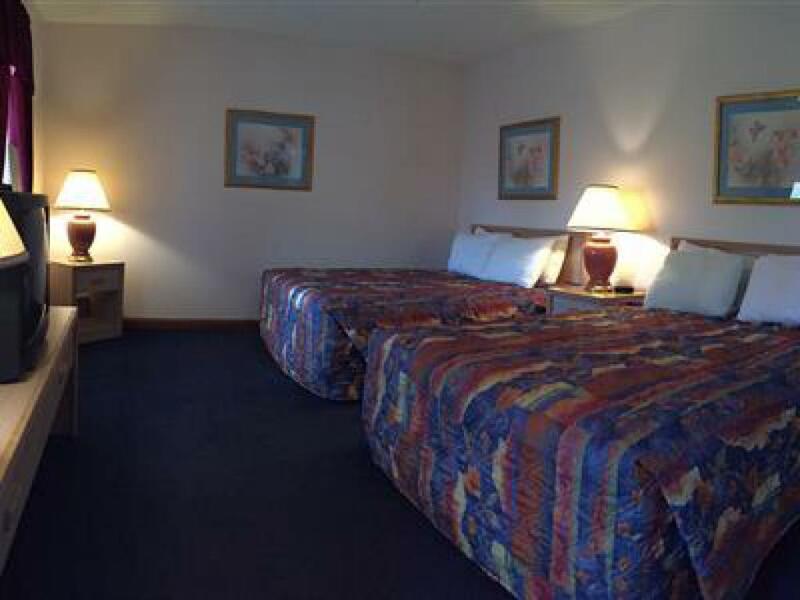 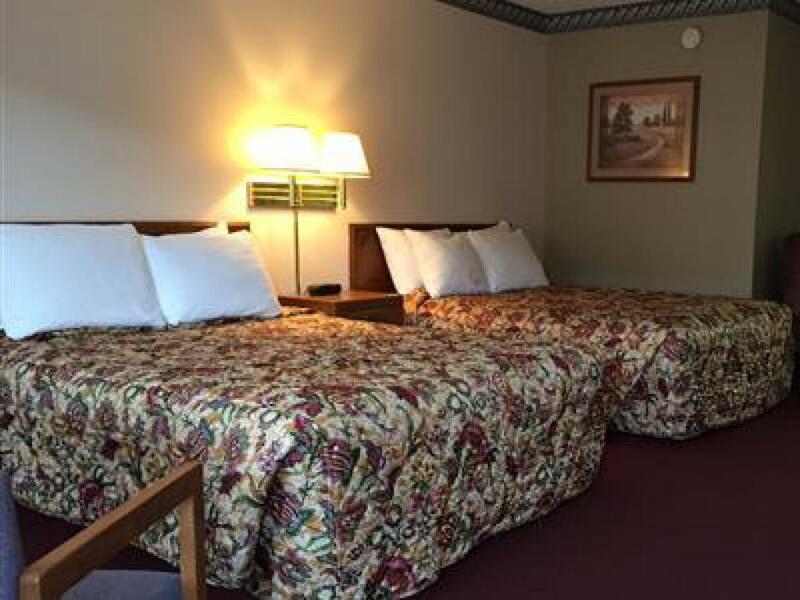 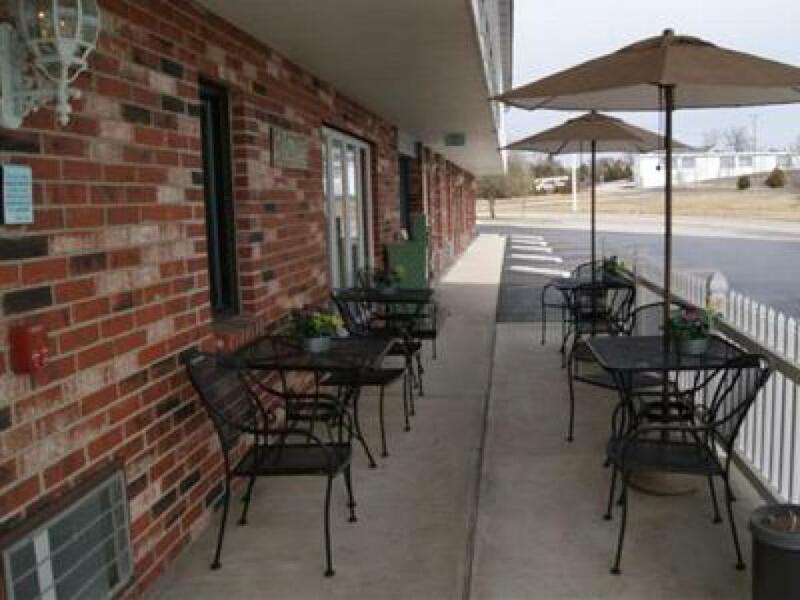 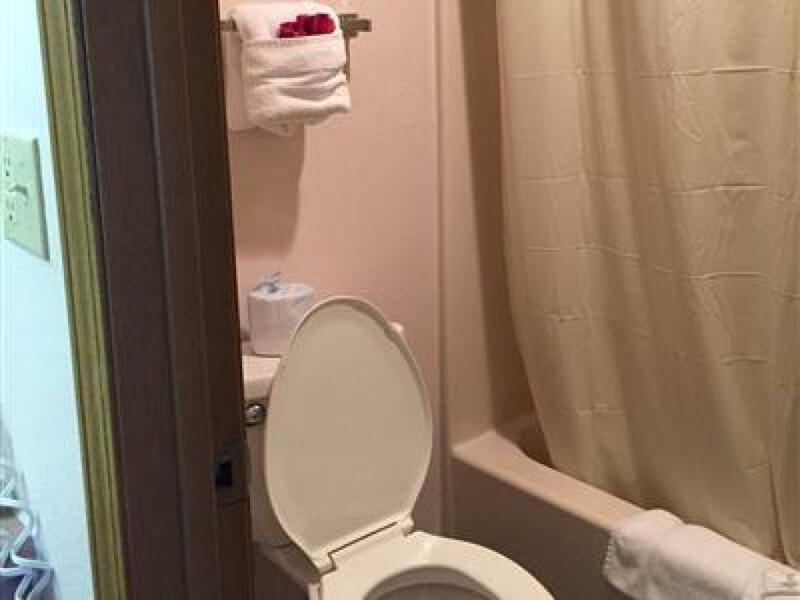 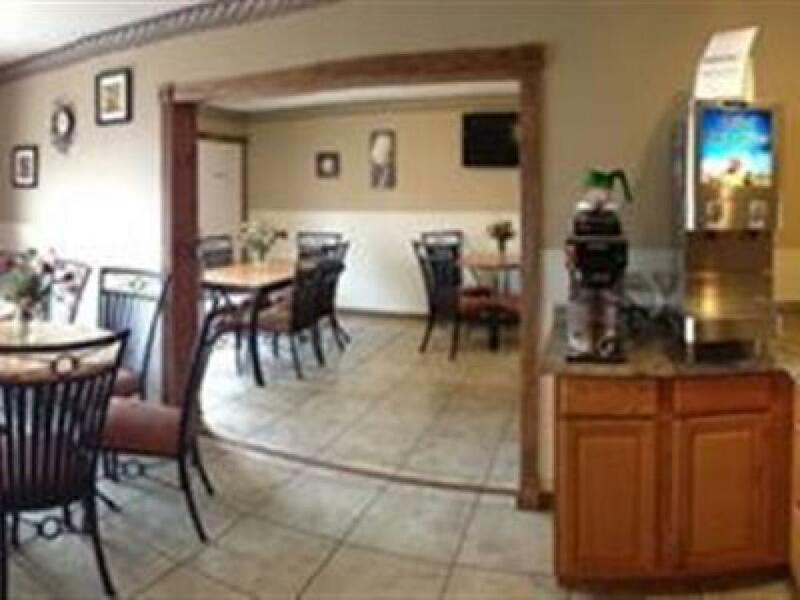 This room also includes a complimentary continental breakfast from 7 - 10 a.m.
We are family owned and operated and strive to be CLEAN, Affordable and Friendly. 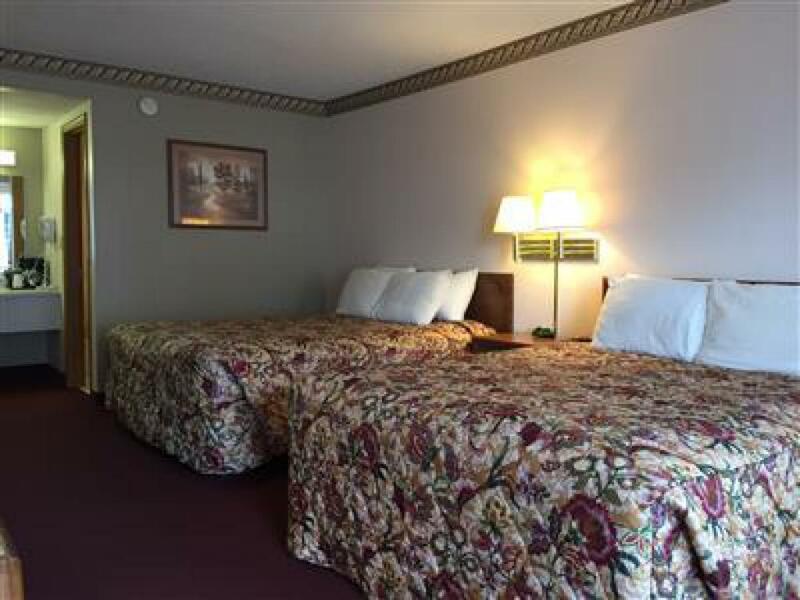 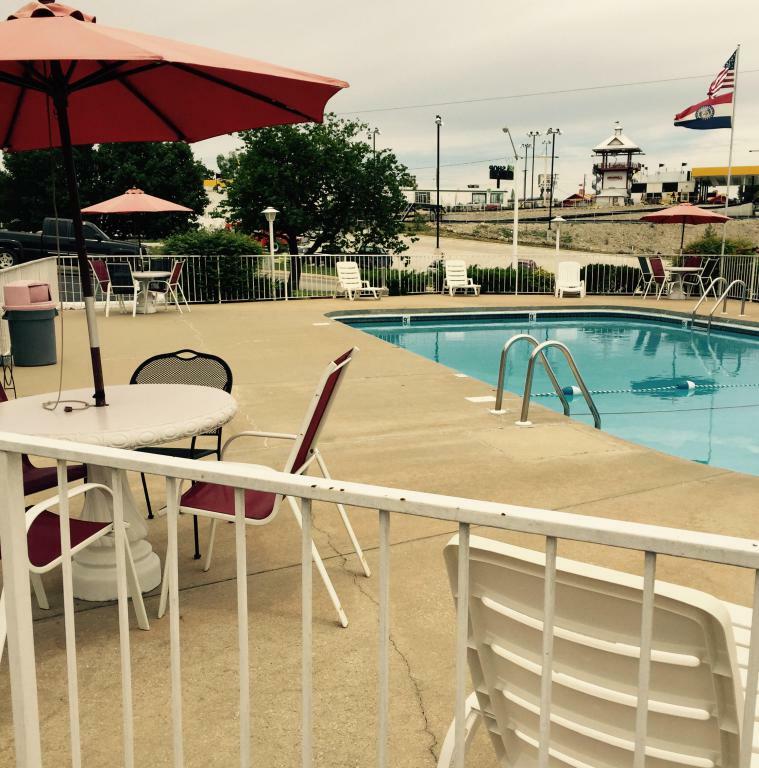 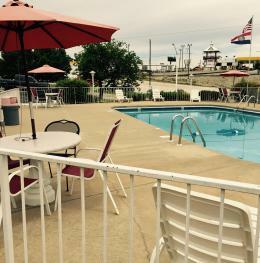 We are located one block off of the busy 76 Country Blvd., walking distance to the White Water Park, Jim Stafford, The Duttons, Mickey Gilley, The Hughes Brothers Theater with Six and so many more. We also have our very own privately owned park with a children's playground, picnic table, BBQ grill, horseshoes and volleyball net. 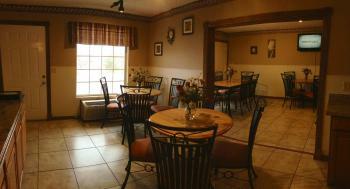 You can plan your Family Reunion here! 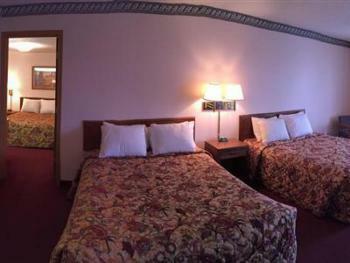 We are also only 5 miles from Silver Dollar City! 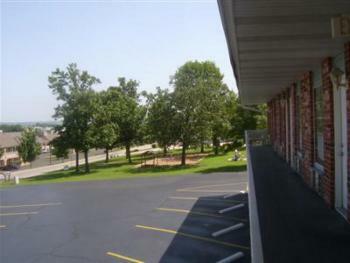 From Downtown Branson, head west on 76 Country Blvd. 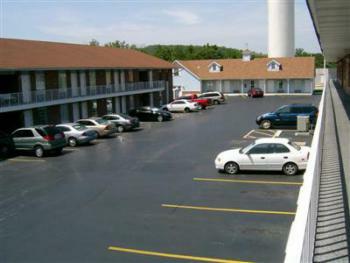 Turn left onto Schaefer Drive, go through Green Mountain Drive, Motel is on the corner of Green Mtn. Drive and Schaefer Dr.